Why Change Your Oil, When You Can Clean Your Oil? Normally when we do oil changes, all that old engine oil gets dumped into a holding tank where it eventually ends up carried away by truck to be recycled in some way. A new device is on IndieGogo that wants you to clean your oil rather than replace it. 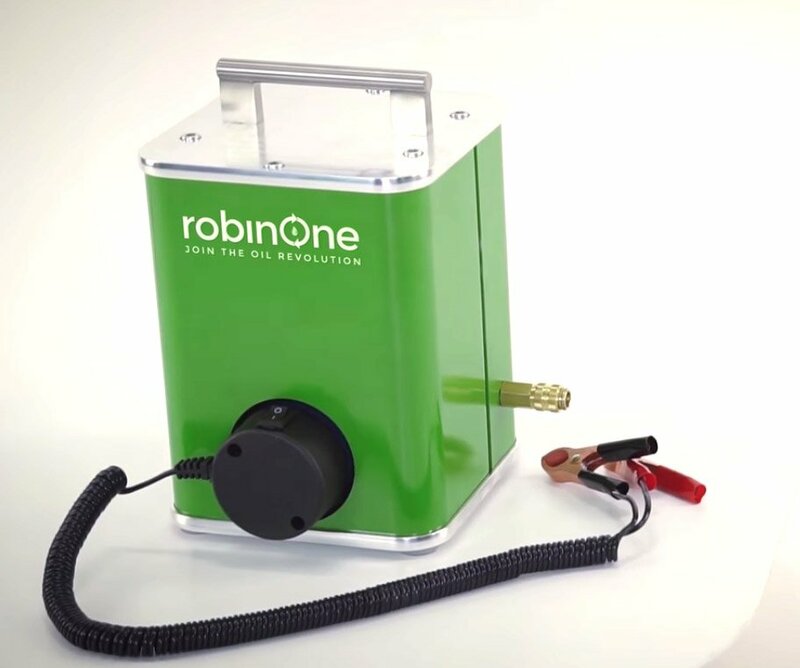 The device is called robinOne and it promises to make your oil last up to 200,000 km (~124,000 mi), reducing environmental impact and cost for consumers. It’s rather like dialysis in that it filters your engine’s life blood, the oil, to remove particles and contaminants. The device connects to your car battery for power. To use it, you cram a tube down your dipstick tube (assuming your car has a dipstick), and a green tube goes into the oil filler area. A press of a button starts the purification process. You do have to change the oil filter as well. robinOne suggests that you have your engine oil tested to be sure it is still doing its job after the purification process, using a product like Motor Checkup. The robinOne includes two such tests in the box. robinOne is currently selling for a discounted introductory price of $199 and is estimated to start shipping this October. You will also need to replace the filters inside the robinOne every now and then at $40 per pop. This is all assuming the robinOne raises its $150,000 crowdfunding goal.